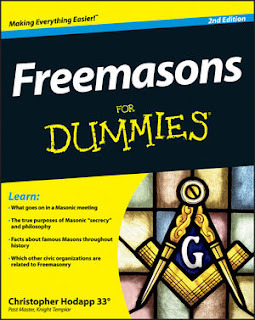 Freemasons For Dummies: The Pentagram: Masonic? Satanic? Or What? The Pentagram: Masonic? Satanic? Or What? This nonsense comes up a lot on the internet. The pentagram, or five-pointed star, is actually a common symbol. It appears fifty times on the American flag, though somehow conspiracy theorists have apparently overlooked that particular occult symbol apparently placed on our flag by that pagan witch Betsy Ross and her Dark Overlord George Washington during one of their black masses or Satanic sewing bees. The pentagram first appeared more than 5,000 years ago in Mesopotamian writings and drawings. The Babylonians used it as an astrological diagram to represent the five known planets—Mercury, Mars, Jupiter and Saturn, with Venus, the Queen of Heaven, at the top point of the star. The Pythagorean Greeks used an inverted pentagram’s five points to represent the Classical elements of fire, water, air, earth and idea (or “divine thing”). Early Christians used the pentagram to describe a very wide range of concepts, from the five senses, to the five wounds of Christ on the cross. Catholics have used it to symbolize the five “virtues of Mary” (Annunciation, Nativity, Resurrection, Ascension and the Assumption). In the 14th-century Arthurian tale of Sir Gawain and the Green Knight, it appears on Gawain’s shield to delineate the five virtues of knighthood: fellowship, purity, frankness, courtesy and compassion. The pentagram has occasionally appeared in the symbolism of Freemasonry, most prominently as the symbol of the Order of the Eastern Star, part of the Masonic family of related groups known as the appendant bodies. It was created in the 1850s by Freemason Rob Morris and his wife as a group that allowed both men and women to mix in a lodge-like setting. 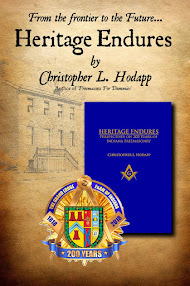 Men who are Masons may join, as well as women who are married or otherwise related to Masons. Morris, an inveterate lover of Masonic ritual, created a ceremony that was initiatory as in Freemasonry, but was dissimilar enough so he couldn’t be accused by Grand Lodges of making women into Masons. He based his ritual on Biblical sources. The degree ceremonies of the Order of the Eastern Star tell stories about five heroines of the Bible: Adah, Jephthah’s daughter from the Book of Judges; Ruth, the daughter-in-law of Naomi; Esther, the brave Hebrew wife of Xerxes; Martha, Lazarus’ sister, from the Gospel of John; and Electa, the “elect lady” mentioned in II John. The pentagram as used in the Order of the Eastern Star depicts these five star “points,” and also represents the Star of Bethlehem, while the bottom point supposedly directs viewers to the place of Christ's nativity. Chapter rooms are traditionally laid out with a large floor cloth or carpet representing the pentagram and its star points. At the center of the symbol stands an altar with an open Bible upon it. Apart from its use in the Order of the Eastern Star, the pentagram – right-side-up or inverted – does not officially appear in Preston-Webb based Masonic ritual or symbolism in the US and much of Europe (although I am told it is a part of degree symbolism in Scottish Rite Craft rituals in some jurisdictions). Some “tracing boards,” painted symbolism charts used to teach Masonic lessons, in the early 1800s contained five-pointed stars with a “G” in the center as a symbol of both God and geometry. A “Blazing Star” is often referred to in the description of the lodge floor as part of “mosaic pavement,” and first seems to have appeared in John Browne’s cipher The Master Key in 1802, as a reminder of “the Omniprescence of the Almighty, overshadowing us with his divine love...” Today, some U.S. jurisdictions contain wording that its use in the pavement is actually meant to refer to the Star of Bethlehem. But in neither case is it described as being five pointed. 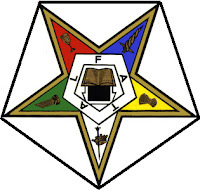 Other researchers have suggested that it may have represented a portion of the Master Mason degree ritual, the “Five Points of Fellowship.” But it was not a common symbol and has not survived in widespread use. Freemasons, in point of fact, do not venerate or worship symbols. Symbolism is primarily used in Freemasonry as a memory device or an allegory to teach a moral lesson. The inverted pentagram has never appeared as a part of regular, recognized Masonic ritual or symbolism. The inverted pentacle certainly wasn’t an inherently “evil” symbol when Pierre L’Enfant drew it into the map of Washington DC. The first mention of pentagrams being “good” or “evil” appeared more than 60 years after L’Enfant designed the street plan for the city. In non-Mason Eliphas Levi’s book, Dogme et Rituel de la Haute Magie (Doctrine and Ritual of High Magic), published in 1855. Levi, a French student of the occult and magic, became fascinated with the subject in the mid-1800s, like much of the Western world. His book was the first known mention in print of a “good” or “bad” pentagram. He explained them as a ying-yang balance of good and evil in the universe. A commonly reprinted drawing (above), wrongly claimed to be by Eliphas Lévi, shows the pentacle as a symbol of man with the head at the top and the hands and feet stretched out as the other four points. Called the Microcosmic Man, the head represents the spirit, while the hands and feet represent air, earth, water and fire. The opposite, inverted pentagram in the illustration is supposed to represent the head of Baphomet in the form of a goat’s face. The beard is the bottom point, the ears the next two points, and the horns at the top. Variously described as a demon or pagan idol of uncertain origin, Baphomet was allegedly worshipped by the Knights Templar, according to Inquisition torturers and prosecutors seeking to destroy the knightly order in the early 14th century. However, the symbol of Baphomet as a goat head pentacle is actually no more than five decades old. According to author Stephen Dafoe, its first known appearance is actually from Maurice Bessy’s A Pictorial History of Magic and the Supernatural, published in France in 1961. In any case, the symbol means nothing of the kind in Freemasonry, and never has. I found reference the Church of Satan the Anton Laney regards the pentagram as hilarious. Most people never knew he demonized the pentagram as a symbol of a money making carnival like show. Ever since the pentagram has been used by Hollywood movies to express the Devil. I never thought that having the letters "FATAL" within the star helped any misconceptions. Now I do know what those letters stand for, but to the profane it does give a laughable chance for misunderstanding. And what degree are you Chris and you Carlos? Why, Rachel? Do you suspect they are both too "low ranking" in Masonry to know the really deep, dark secrets occluded from the booboisie by us "higher ups?"